The touch of red is simply beautiful! 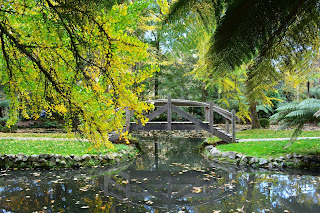 Located 45 minutes from Melbourne's CBD you don't need to travel far from home to feel like you've gone away on holiday. I've visited the gardens on a few occasions and never has it been overcrowded. Whilst there are people walking around, you still are able to completely relax. Looking for a bit more seclusion? Go on a weekday or early morning. 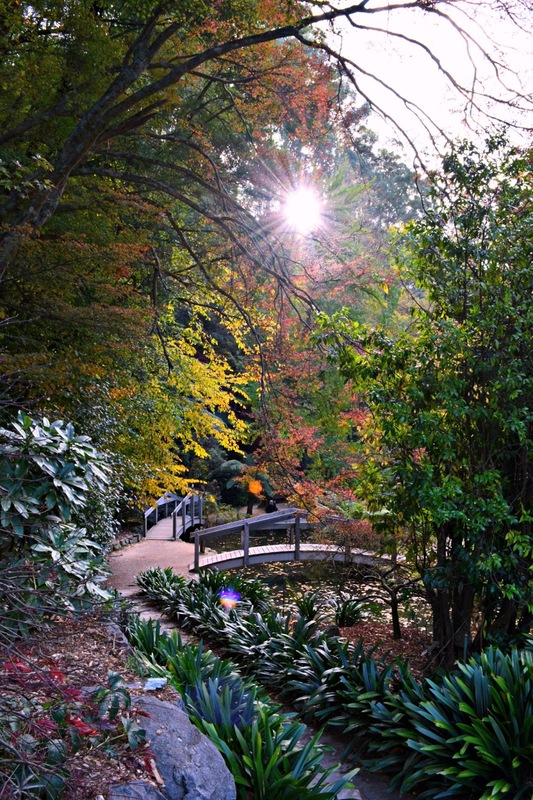 During the week, there is virtually no one wandering around the Gardens. This is perfect for photographers to get some awesome shots! No day is complete without the pupper! It's pup friendly! I tend to favour places that allow animals. I often feel extremely guilty about leaving my adorable pup at home. If I'm out hiking, I prefer to bring him along so that he can share in the exercise and adventure. 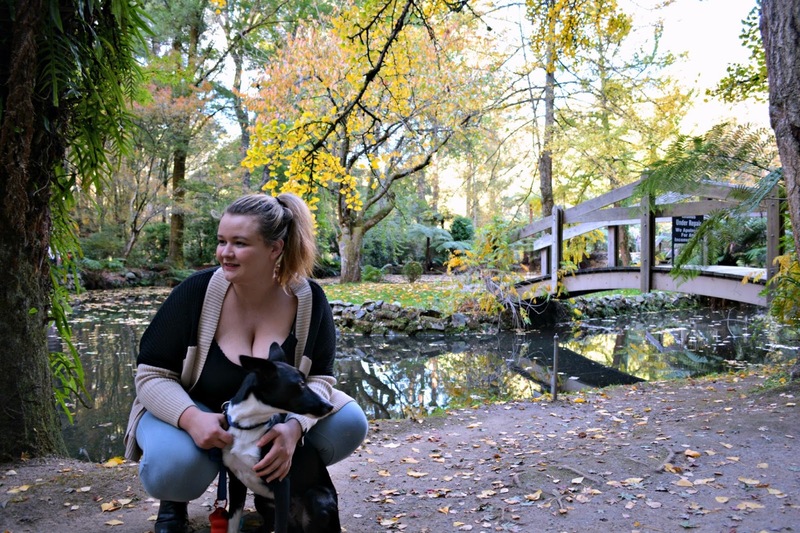 The Alfred Nicholas Memorial Gardens is a pet-friendly zone, as long as they're kept on a lead. So when you plan your visit, be sure to bring your furry friend along! I love visiting here during autumn. There are so many beautiful colours! No matter what time of year you choose to visit, there is always an abundance of colour splashed throughout the gardens. Personally, autumn is my favourite time to visit. 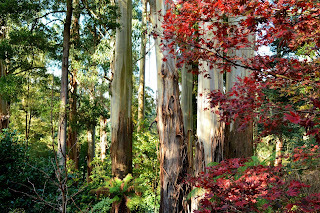 I love the way the evergreen trees blend seamlessly into the other, colourful trees. The patches of yellow, red, and orange sprinkled across the various hues of green create a picturesque landscape that everyone can enjoy. The reflections in the water were amazing that day! The diversity of the flora and fauna. Have you ever been on a hike but the scenery never changes? I tend to have the attention span of a goldfish so having variety helps make the journey more enjoyable for me. 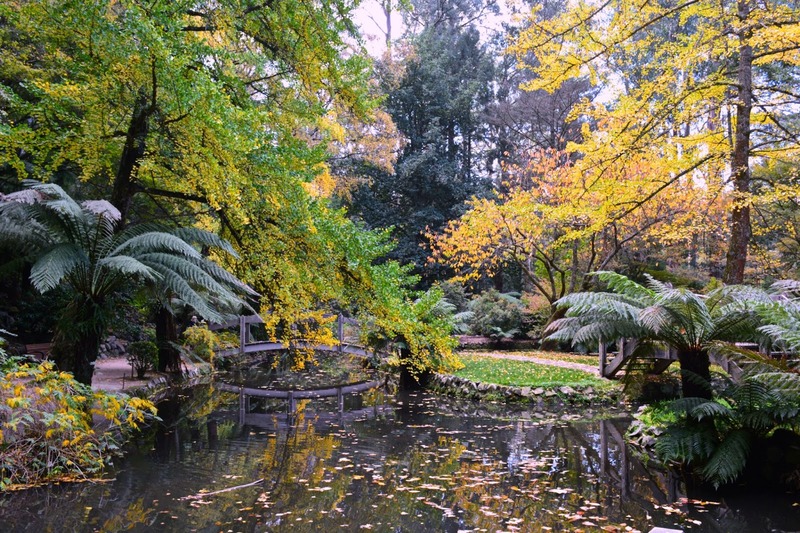 The Gardens incorporate a great deal of variety. There's the evergreen trees, the massive ferns, flowers, as well as various birds and animals. There's a beautiful lake, a variety of areas to have a picnic, and multiple walking paths. The lake has to be one of my favourite places. 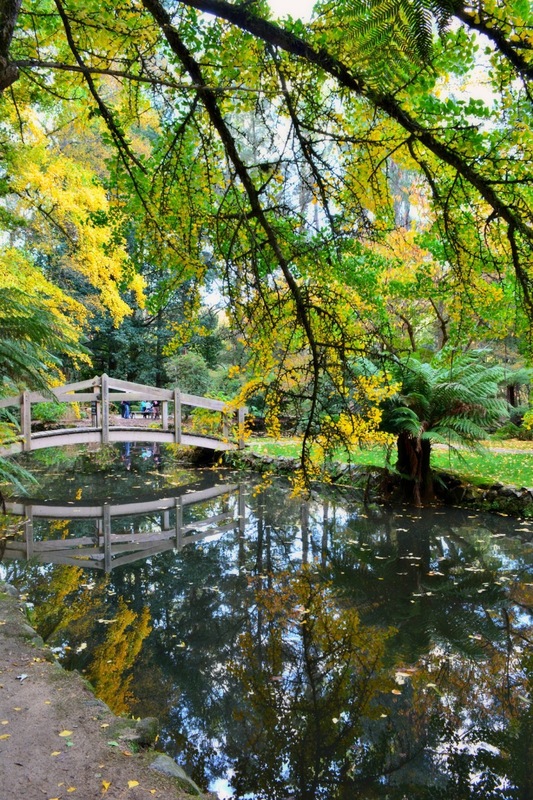 From the variety of flora and fauna to the family/ pet-friendly atmosphere, spending a day at the Alfred Nicholas Memorial Gardens is definitely worth the short drive. There are a variety of activities to do in the Dandenong Range's so be sure to click here to help schedule your day! 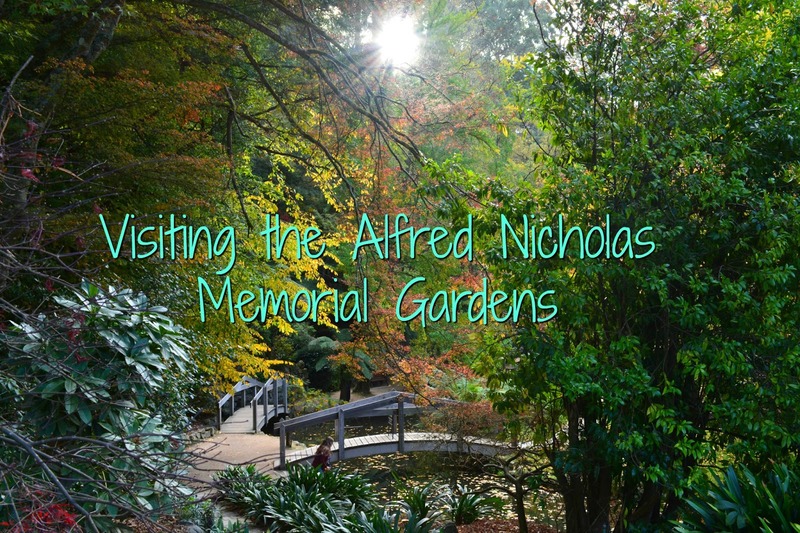 If you've ever been to the Alfred Nicholas Memorial Gardens, be sure to share your experience in the comments below! I would love to experience the gardens you describe. I'm developing my photography and the play of light and color as well as the variety of vegetation, bridges and animal life would be ample opportunity to practice! 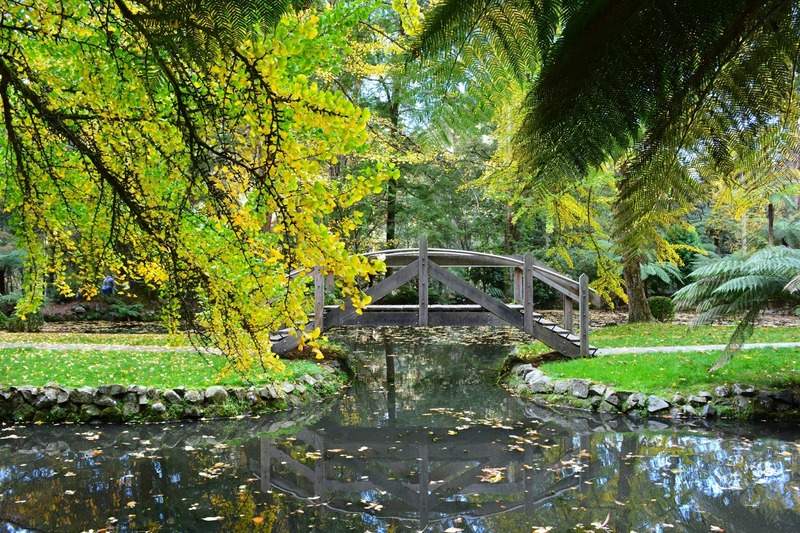 The peaceful environment sounds great to combat work week stress, too. Thank you for your in depth review! It definitely is one of my favourite places to help work on my photography! 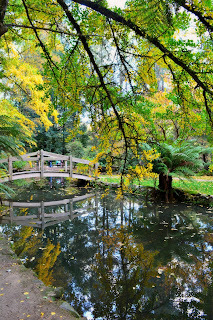 Glad you enjoyed the read :) Are there any places around you that are the perfect places to practice your photography?